When a street- and lifestyle photographer whos absolute all-time favourite focal length is a 50mm full frame eq. gets offered a chance by the incredibly kind people at Fujifilm Nordic to test and scribble some thoughts about the new Fujinon XF 35mm f/2 R WR lens he starts to get those joyful jitters. The reason for that initial excitement is two-fold. 1: The old Fujinon XF 35mm f/1.4 R is one of those incredible lenses that gives a fantastic rendering with a certain “something” that just can’t be translated into performance charts. 2: Since the launch of the 35mm f/1.4 back in 2012 Fujifilm has continued to make amazing lenses for the X system with the newer lenses being leaner, meaner, sharper, badder and faster than the previous. So could Fujifilm do it? Take the magical recipe that made the 35mm f/1.4 such an incredible lens and pack it into a modern design that could perform up to the standards of the newer X-series bodies? DISCLAIMER: The lens used for this review is a pre-production unit, and image quality might not be final. – probably pretty close though! 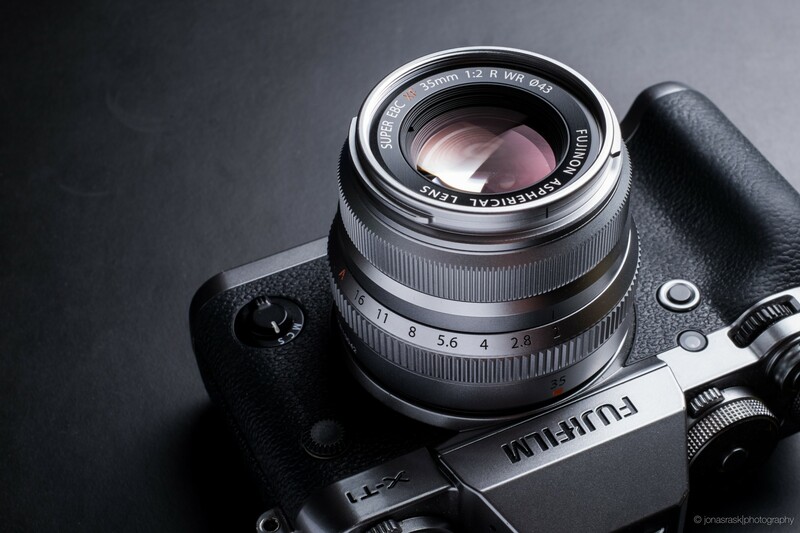 The product shots were taken using the X-T1 with the XF56mm f/1.2 and the MCEX-11. With the initial reveal of the XF 35mm f/2 R WR Fujifilm made it abundantly clear that the X-series lens selection is getting closer to completion. They can now start to add different variants of similar focal lengths, adding a higher level of diversity to the line-up. (I know about the 56mm APD. Thats a different story altogether). What I feel Fujifilm needs to accomplish when they take away an f-stop of light, is to add something else in other areas of the lens design. Something that will play on diversity, and give the photographer a choice depending on the task at hand. … than its 35mm f/1.4 cousin. When I received my test-copy of the lens the validity of the above 4 main points was of course what I said out to test. And from reading the WR moniker on the box/lens this lens comes with weather resistancy! The lens weighs in at 170g and is sized at 60 mm in diameter and 45,9 mm in length. It is constructed of 9 lens elements in 6 groups with 2 aspherical elements. The aperture diapragm is made up of 9 rounded blades. It has a near-focus limit of 35cm, and a maximum magnification of 0.135x. The XF 35mm f/2 is smaller than the XF 35mm f/1.4. It’s about half a centimeter shorter. It has the same diameter at the mount, but obviously it thins alot towards the front of the lens. Mounted on the X-Pro1 you have zero OVF blockage! If this lens hadn’t been weather sealed it could have been made even smaller, but WR is a damn good thing, and it’s a feature that I think every Fujinon lens going forward should have. The finish on the lens is gorgeous. Its metal and glass. It has the right amount of weight and heft, and it really balances out well with the small X-series cameras. The included lens hood is plain round version in plastic, but FUJIFILM sells the LH-XF35-2 which features a classic vented design. The old 35 f/1.4 was not a excactly a precision speed daemon at launch. Various firmware updates to the lens have made it quite accurate and whole lot faster. Especially on the new FW 4.0 for the X-T10 and X-T1 the 35mm f/1.4 is vastly improved in this regard. The focussing speed of the new 35mm f/2 is an entirely different ballgame. It’s superfast, and dead accurate! It’s closest competitor is the XF 23mm f/1.4 which has been rated as the fastest focussing lens in the XF lineup. This makes the lens oh so much more useful in those highpaced moments that life throws at you! Its hard to say if it’s the lens or the cameras, but in dark conditions you can still get som occasional focus hunting. Not at all like the f/1.4 though. This is where things gets really interesting. Does it render like the 35mm f/1.4? YES, and more! I know that sharpness isn’t all its cracked up to be. It isn’t the sharpness of an image that makes an image. The same thing can be said about bokeh. Its much more important how all these things come together. This is what makes a lens stand out. A great lens has a signature. The XF 35mm f/2 has exactly that! A defined signature. It renders the images in a very varm tone. 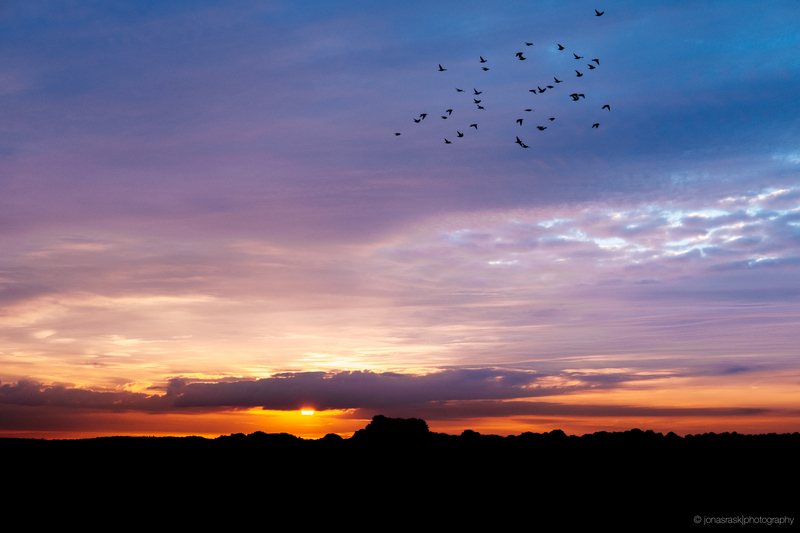 Give it sun light during the golden hour and the colors will gloom at you! Give it harsh cold light, and it will do great highlight preservation without blowing them. The coating of the lens is no less than fantastic. Flares are kept to an absolute minimum, and I really had to angle at the sun to provoke them. Great flare control! The provided hood does a great job of getting rid of the few flares that it does produce. In the samples section, as well as in the paraglider shot above, you can see how well it handles shooting directly against the sun. But lets talk about sharpness. Cause this lens is sharp. wide open at f/2 its actually sharper than the old 35mm f/1.4 stopped down to f/2. – And sharpness is a pleasant one. It’s filled with that microcontrast that gives the images some great depth at pixel peeping level. Aberrations seem to be managed very well as I see very minimal light leakage from highs into lows, and no visible colorsmearing/inaccuracy. The above two images are screenshots of 100% crops from RAW. Both the f/1.4 and f/2 are shot at f/2. The new 35mm f/2 being the sharpest of the two. No small feat! The lens fall off into out of focus areas in the most delicate and pleasing way, especially visible in tight cropped head shots, it really falls off smoothly along the sides of the face. So what about that magic! 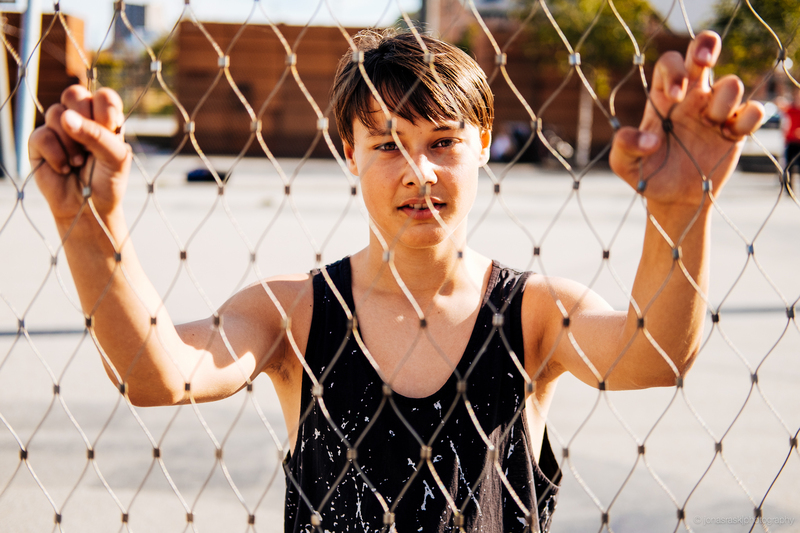 – Does it retain just some of what makes the XF 35mm such a special lens for so many people? – From my limited time with the lens I would say yes. Give this lens golden color light and you will get some of the most rich and vibrant images possible, just as the XF 35mm f/1.4 gives you. The smoothness of the OOF areas is much improved, and I actually prefer the 35mm f/2 bokeh to that of the 35mm f/1.4. Add to that improved portability, weather resistance, as well as much faster focussing, and I will not hesitate to call this lens a new favourite of mine. So what do people use a standard lens for? Well, just about everything I guess. Thats probably why the 35mm (50mm full frame) focal length is so widely used. This focal length can basically be used for almost anything. From landscape over portraits to street and everything in between. It’s a lifestyle lens…..
Make sure to click the images to view them larger in their galleries. If I should conclude on my findings during this last month of testing it boils down to this: If you can live without that extra stop of light from f/1.4 to f/2 then you should definitely consider this lens. It’s faster to focus, it’s smaller, it’s sharper, its weather resistant. And its cheaper. Of course this is all depending on what type of photography you do. but for the street photographer who likes the 50mm full frame FOV this lens is a no brainer. It’s made for street photography. 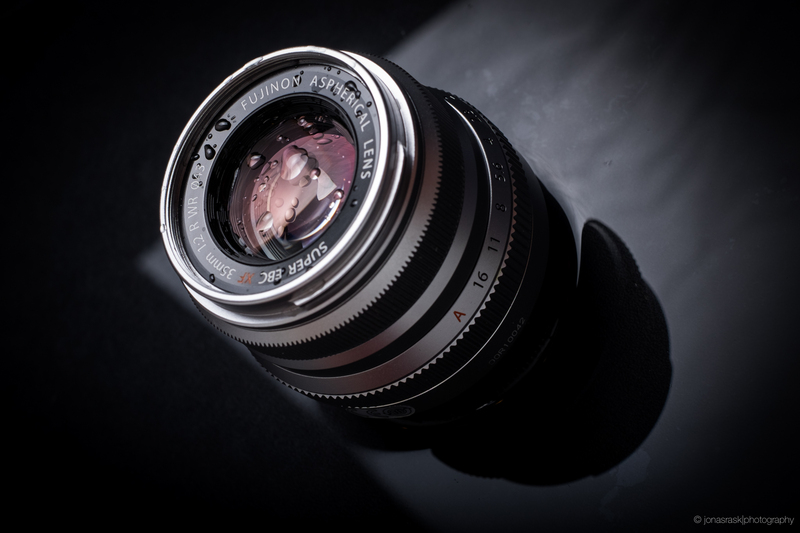 For the more casual user the XF 35mm f/2 is a brilliant way to start the entry into prime-lenses. Awesome stuff Jonas, as always! Thanks for this review. Well written. I’ve been waiting for over 2 months for my 35mm f1.4 from Adorama. Maybe I’ll ask them to substitute the f2 version. I have the 23mm f1.4 for low light. Excellent review, Jonas…so much so, that you’ve also made me want to trade in my 35 f/1.4 for this new f/2! (Despite the fact that the “old” 1.4 is stellar on my XT-1…I frankly can hardly imagine a cleaner, sharper image!) Thanks again! Great review Jonas! I love the images. I was waiting for this 35mm f2 lens before deciding between this one and the f1.4 lens. Still wondering woch one to choose, for the moment I only have the 18-55 and an X-E1 and I wonder how the f1.4 will act with this camera. In what case do you think you would have the use of this extra stop of light ? Anyway this is a very good review and I totally love your pictures as always ! It’s very inpiring ! you sealed the deal for me, everything I wanted to know about it, covered well, including how good the silver looks on a black x-pro1, as thats my plan for it! hahaha. Thanks Hans. Yup! small, lean and mean! Jonas, so are you not missing f/1.4? In the darkest conditions etc.? Not really. The focusing is very precise even in the dark, and the fujifilm ISO is pretty darn good. The image of the trains in the samples is taken after dark. No problems what so ever. I’m rather a manual focus guy and look for best manual focus experiences. The point is XF are manual focus by wire and I am not too keen on XF manual rings. How will you describe that MF ring? Did you enjoy MF with that new 35mm ? Was thinking about the same. In XF23mm it’s really slick and responsive, but the XF35mm f/1.4 is pretty jittery and horrible. Would love to know as well. Hey! – Unfortunately I didn’t do much manual testing. I really don’t like the manual focus-by-wire either. So when I manual focus I always use my vintage glas. However the picture of my daughter and the one of my niece where they are facepainted are both manually focussed. And it works precisely and much better than in the first iterations. The software in the cameras has gotten much better I think. Havent got a chance to test a 35mm f1.4, but i do have a 56mm…would this be a great companion to the 56mm? Thanks Jonas – what a gorgeous looking lens. I just pre ordered mine in the UK for £299. Any idea what the UK release date is? Struggling to find it!! Also, what filter size does it take? Thanks again, your reviews are superb. 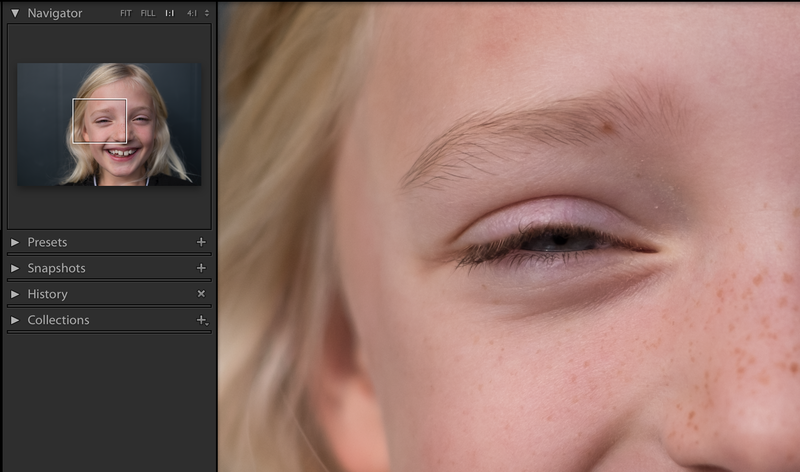 For me it seems like the f/1.4 is warmer, when I comparid the skintones of the 100% crops of the girl. Do you think that there is any difference between them in this regard, or is just a matter of light condition and/or exposure differences? The background is a little bit darker in the f/2.0 shot. The tones I get from the new f/2 is really similar to the old f/1.4. 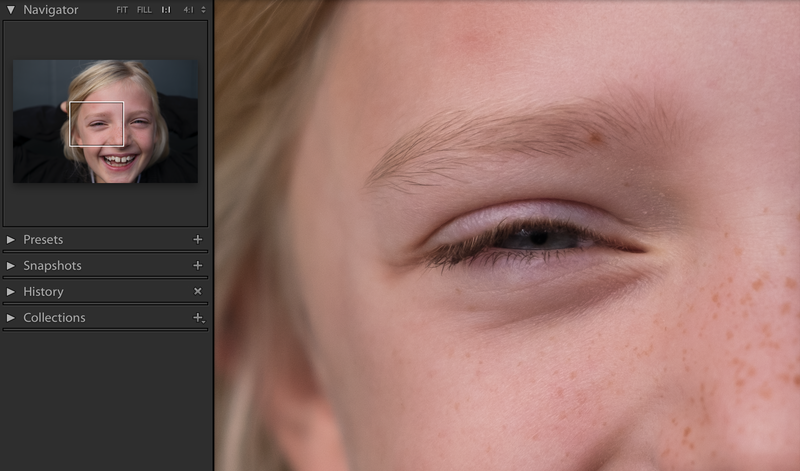 I actually feel that the f/2 renders warmer than the older f/1. What I think happended in the direct RAW images, is that she liftet her arms behind her head with her black shirt. The sun was bouncing off the dark yet semi-matté paint on the door, so the difference in reflection is what causes this I think. Your “MY365” project has inspired me to do my own. Thanks! Excellent review! I fully agree with excitement on this new 35mm. Perhaps we’re using different bodies (XT1 in my case), but I certainly don’t find the XF23 to be an AF speed demon. With firmware 4, the 35/1.4 is about the same as the XF23 and both can hunt in low light. Of my and my wife’s 7 Fuji X lenses, the only ones I’d consider fast are the XF16 and 18. Other than WR, a definite enhancement, I can’t see this lens appealing to any owners of the 35/1.4. It’s noticeably sharper, slightly smaller, has internal focussing and it focusses faster. Hi Jonas, thank you! Did you notice any substantial difference in vignetting compared to the f1.4? Opening the f1.4 from f2 to f1.4 adds almost a full-stop of light to the center of the frame, but it barely adds anything to the edges of the frame, but rather most of the exposure increase, if you want it, comes from software. The 90mm f2 was the first Fuji prime, I believe, to make a big leap in the vignetting department. I think that’s related more to the focal length than Fuji making progress with their engineering, but I figure it’s worth asking about what you noticed with the 35 f2. Thanks! For me, the f2 is very interesting because I’m often shooting in environment where any sound from the camera can potentially ruin my shot. I take photos of people who are deeply focused in their work, and its important that I not interrupt them. This also means I’m only using natural light and no flashes, thus low-light performance is important, so it’s not an obvious decision for me. Hi Daniel. I actually (shame on me) didn’t even test that aspect! – I still have the lens though, so let me try out some “white wall” shooting and get back to you! – I really did not notice vignetting in use. Obviously nothing that made me think about it. Besides my thought about new stuff from Fuji, amazing pictures in this article. For sure I will be checking your blog often. You are playing on emotions and it is a good thing. Thank you! You hit the nail right on the head here Krzysztof! – Buy gear that suits your style, makes you happy, and then use it! There will always be a newer lens coming out. I like your pondering! Nice review – great photography paired up with high quality writing – so rare on the internet! At last a (bit) smaller 35mm lens. Here’s hoping they will also do an f2 XF23mm lens! Many Thanks for the review! Yeah lets hope they do. I would definitely be interesetd in such a thing as well! No doubt Fuji has made another great lens, they all are, but they did not make this photographer. They are very fortunate to have his incredible work showcase their product. Dunno what to say to that one! Thank you. Thats an incredibly kind thing to say! Thank you for reading Will! I have been reading your reviews since I entered the land of fujifilm magic, and fell in love with photography again. I can honestly say that your pictures are truly an inspiration to me. I equally love your abilities with color and mastery of black and white medium. I have a lot of time to mess around chasing my 2 year old. I bought the xt10 along with the 56mm. I am thinking this would be an awesome lens to leave on the camera for most situations and keeping the 56 for dedicated portraits or when I need a tad more reach. I love that lens though. Apologies for the ramble of words. I just wanted to finally say thank you for your insight and beautiful examples of the Medium of picture making. Hi Scott. No need to apologize! Your ramblings are more than welcome! – Thank you so much for checking back! I hope you are happy with the XT10, I know I still love mine! Small and very capable! The XF35mm f/2 is a perfect companion for the small XT10. I was really eying the 35mm 1.4 with the xt10 purchase but the complaints of noise and focus speed made me pause. I bought the 56mm instead since it was on sale and I have zero complaints. Then I heard rumors of this lens and knew I made the right choice to wait. It sounds like except for the extra shallow depth of field all other pros point to the newer lens for the most part. Guess it’s time preorder? Keep up the awesome blog and sharing your inspirational art. Great Review, really thinking about changing my 35mm 1.4 for this f2. I shoot the X-Pro 1 at the moment, do you think there will be much difference in the lens operations with the X-Pro 1? The lens noise will be the only one I guess. I am holding on to the Pro 1 because I prefer the form of it over the X-T1, and am quietly waiting for the X-Pro 2 to drop. Do you think from your use of the lens, that it offers any improvement over the 1.4 at the moment on the Pro 1, or is it really the next generation lens for the next generation of the X-Cameras. Basically I am debating on getting this lens for my X-Pro 1 and then upgrading to the X-Pro 2 once it has been released and reviewed, or just waiting and getting the X-Pro 2 and 35mm 2 at the same time. Thanks for all your great work on the blog. If you have the X-Pro1 you will not get the full speed benefit from this lens. It will still operate faster than the 35mm f/1.4. But not by as much as on a newer body. The weather selling doesn’t make much sense either with a non WR body. Hi Jonas great review! Positive and insightful! Your passion and enthusiasm shows through your words and great photos. One question, your picture of the mushrooms makes me wonder how close the focusing of the lens is? Hi Charlie. Thank you so much!! Really appreciate that comment, cause thats really what its all about isn’t it? Passion! I literally never comment, but your review was so well written and detailed that I had to give you some kudos and thanks! I especially appreciated your comparison between the two lenses which I was looking for everywhere and couldn’t find it. Now all my questions are answered and my decision is made, I’m getting the new lens without a single doubt. Thank you so much for your kind comment Banê! – I really appreciate that! I’m glad that I could help you in your decision. Great detail in the article, at first i wondered why would they make another 35mm, but this one seems to be greatly improved! If I only have one lens now and that’s the 23mm (with XT1) will getting a 35mm f2 some what redundant? I’m shooting street and documentary. Ya, I’ve been shooting with the 35mm full frame equivalent focal length for years and that’s why I chose the 23mm when I migrate to the Fujifilm system. I wanted to have a 50mm full frame equivalent lens so I can take tight shots and don’t have to get too close to the subject when Im on the street. Was thinking of the 56mm as well but it doesn’t seem to be a “everyday” kind of lens. Anyway, thanks for your precious opinion here. Great review and keep up with the good works! Great review and superb photos!! I currently only owns a X-T1 body and the 18-55 kit lens. Was thinking of getting the 16mm 1.4 next but after reading this review, I kinda felt in love with this new 35mm. Could you suggest any significant difference (beside focal length and aperture) between these 2? The size is probably a large part of the difference. The 16mm isn’t really a small lens. The 16mm has the great “Pull back” manual focus which I’m very fond of. In terms of image quality, they’re both stellar performers. But I would definitely say size is the main difference. You probably need to try both on cam! Hi Jonas, thanks for the interesting review. And great pictures, they are quite the inspiration. I was wondering, in one of your reviews I remember reading you use the VSCO 04 film simulations. Is that what you used for the photographs in this review? Would you mind sharing which simulations you used? I didn’t use VSCO for this review. I have one color preset that I tweak from. I think it originated from the Fujifilm Fortia 100 VSCO preset. But it’s been tweaked to 20 different versions. What I like are the saturated greens, purples and yellows. Sometimes I lift the shadows. Lovely review. Nice and convincing pics. Hi Jonas, so not sure if this question has been asked before. I already own the 35mm 1.4 and I love it. I’m not fussed about the size or weight discussion (the 1.4 is already light enough). WR is interesting as is the speed but will you sell your 35 f1.4 for the 35 f2? I can’t warrant both and will have to sell the one to finance the other… Thoughts? Its such a hard question, since I definitely need that extra stop of light from the 1.4 at times. But that WR and overall snappy-ness of the f/2 is simply much more usable. What kind of photography do you do mostly? Outside or inside? Natural (less) light or Artificial lighting? A very nice review; I have found that Fuji X photographers seem to be able to convey an enthusiasm and you-can-do positivity about the brand that is not found on other camera brand reviews. Thank you so very much for that kind compliment. I completely agree. Emotion is such a big part of this Fujifilm thing. At least for me it is. I think what you describe will be a fantastic combination! Thank you for the great review, i just wondering if you have tried it to make a video using this 35mm f/2 lens. Is it quite enough when it try to get focus. The reason i ask is because i use 27mm with X-T10 and the lens is so noisy and the noise of the lens is capture in video .. so i can not use 27mm for video . so back to my question… is the 35mm f/2 silent enough for video ? Hi Don. I havn’t tried that. But it makes almost zero noise when focussing, so I think it will be just fine. Great review Jonas. After a long hiatus from photography, I’m ready to come back with an XT1 and XF 35mm F2 combo. I think you hit all the points I wanted answered in the review and the comments. I’ve shot the 1.4 extensively on all bodies up to the XE2 and speed was always so so but with this little black (my preference) monster with the XT1 4.0 will be a speed demon for many applications. I’ve put my pre-order in already and I can’t wait to get it. I have an XT-1 with the 35 f/1.4, and while I am happy with the image quality (especially sharpness) from that combo, Jonas has convinced me as well, to go with the new 35 f2 WR! Good luck with it! Thanks Steve. I’m not knocking the 1.4 its a great lens but I think the f2 will be better for my particular use case. I actually took my most iconic image with the 1.4 so I hold that lens in a very special place as well. Glad to hear from you. You have really taken a long break huh? I think you’ll LOVE the f/2. Thanks Jonas! I just received mine this morning so I’m looking forward for that 1st import into Lightroom. Me too. I’ve also been away from photography for a long time. X-T1 + XF 35mm F2 WR is now in hand, the sun is up and I’m hitting the streets for the first time in a long time. Super excited. Great review Jonas, thanks. I ordered one after reading your review and I received my copy of the XF 35mm f/2 W R yesterday. I gave it some thorough exercise in my house and on the streets. All I can say is that it’s a fan-freaking-tastic photographic tool. Razor sharp at the widest aperture. No need to stop down, just point and shoot. The autofocus is noticeably better than the older f/1.4 version. More accurate, faster, no external moving parts and almost completely silent! Yes, there’s some distortion and chromatic aberration going on, but it’s hardly noticeable in most shots (especially monochrome street photos) and it can be easily corrected. The bokeh looks very good. Towards the corners the out of focus highlight circles are no longer round, but the bokeh looks absolutely gorgeously smooth and creamy. We have to keep in mind that this is only a compact 35mm lens. I think Fuji has done a great job. This lens will work very well on a PRO series body too, because it doesn’t block the optical viewfinder, perfect! I know it’s not the most important feature, but besides delivering great image quality, this lens looks, feels and operates like a dream. This was one hell of a review. Great work. I just found your blog through Patrick LaRoque. I really love that all of your samples are pretty much every style of photography. Not just street. 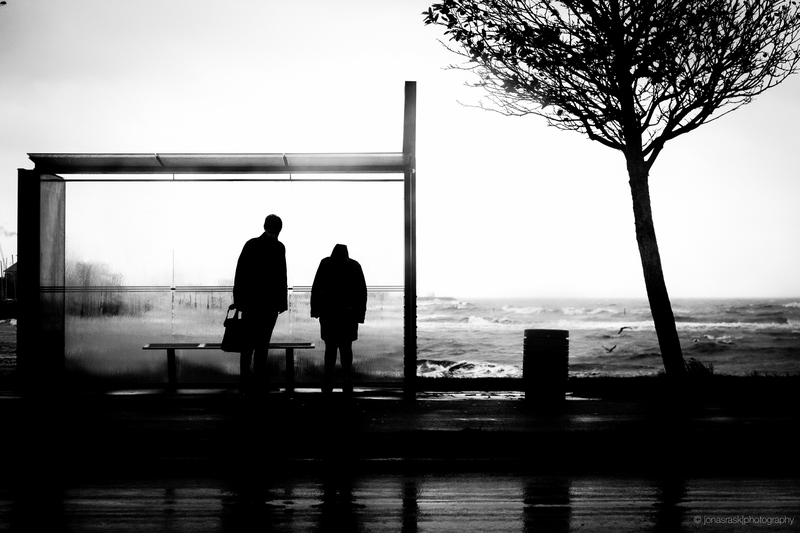 I currently use the X100S since I favor street photography primarily. I’ve been wanting to switch over to a 50mm(eq.) lens because I’ve never been happy with the distortion that the 35mm focal length gives off. Currently I’ve been on the fence since I haven’t been sure whether to buy (next year) the X-Pro2 + 35/2 or A7II + some 50mm lens. But you, and other people, have made a damn good case for the Fuji system. Don´t know why, but I can now look at all those lovely pictures also in Safari. I have now got my own 35 f2, i snows outside and the lens is WR. I have to get out! I just bought a new X-Pro1 and the 35mm f1.4 this weekend. I got the X-Pro1 for around $360 as Fuji South Africa were selling their last stock. It was a deal I couldn’t refuse. I was playing around with the camera at home and couldn’t figure out what was making the noise when I turn the camera on/off and during focusing. I tried switching off all the sounds but still a noise. I did a Google search and apparently the aperture blade noise is a know issue with the 35mm f1.4. For me it’s so distracting it’s a deal breaker! Thanks for your review of the 35mm f2. After reading your comments, especially around how silent the lens is without losing anything in rendering, I’ll be swapping the f1.4 for the f2, which Fuji have already agreed to do. Next week I Will buy the xt10 and the 35/2.0 ! I wont wait for the new sony a6000 any morse because i like the design, the quality of Fuji!
! 😀 – Good choice! Do you think the 35/2 can be used for some concert photography, as it is faster than 35/1.4? I had the possibility to test the lens for an hour and I can understand all the positive findings of you and other people besides one! distortion is really awful before software correction. It looks like a fisheye lens. Although I didn´t measure it I´d say much more than 5% more close to 10%. This is the only shortcoming from this lens. Sharpness, bokeh, color correction look all great. I am wondering why nobody else until now has pointed this. Hi Ernst. Distortion is there. I just never noticed it in my review. The main thing is that Lightroom reads correction metadata from the RAW files, so it has been corrected on import. Even in RAW. In all my sample images this never presented it self. But you are right. it IS there. When I had read your review about the XF 35/f2 lens from Fujifilm I went straight down to the shop to buy one. And I can only say that I am impressed. I´ve only used it for a couple of days but I must say, as you already mentioned, the focusing, the quietness of the focusing and the SHARPNESS is so good. Remarkable. Hi, thanks for your review, I often hear that there is a lot of magic with the 56mm. Really I would to buy the 56mm but I’m interesting by the 35 for street photo, great bokeh and portrait. Lookout, I have the 35 f/2 on my XT-1, and yes, I can say that, IMHO, it does have the “magic” of the 35 f/1.4, plus stunning sharpness, build quality and weather sealing! I think you’ll love it! I was about to buy the F1.4 but now I hesitate ! For now only have the 18-55 and an X-E2, do you think the F2 will still be a better option for this camera? Your pictures are amazing btw ! Thank you! This review provided me with all the answers. Excellent review. But I have one question on the AF speed as I am using X-E1, which is a very old model. Do you know the AF speed of this 35/2 is still faster than 35/1.4 on X-E1 body? Thanks. Hi Patrick. Yes the focus is faster, even on the older bodies. Great read Jonas, thank you. I recently sold my X-E2 to buy a new X-T1. While I loved the X-E2, my only problem was the weather resistance. I live in cold wet country, with plenty snow, rain, wind and sub zero temperatures. Apart from portraits I am mainly into night skies (love the northern lights) and landscapes. So my problem is that I currently own the XF35mm f1.4 which is not WR but I really need it for my night skies and low light photos. Hello Jonas. Need help with choosing an ND filter for my 35F2. I’m new when it comes to stops of light. I just tested my XT10 outside during the day. Conditions: over-cast, not full sun. So if my max off-camera sync speed is 180/sec, is that a 3 stop difference? Hi I had a few questions about your photos in this article. Are these the jpgs out of the camera or did you process them after to get such bright colors and and such contrast in the black and white pics? Did you blur the background more in some of the portrait pictures? Looks like there are some macro shots, did you use the mcex11? I love the photos and thanks for your time. Is it really faster focussing on a X Pro 1 ? Thank you Jonas. As a happy shooter of the X-T1 for weddings you have now convinced me to get the new 35mm! It looks amazing. Although I will miss the flare, that was my favourite part of the old 35mm. I’m new here and you just earned a new reader 😀 YAY! Last week after I purchased my XT-1 with the 35 1.4, I was really iffy with the lens. Don’t get me wrong it produces stunning images with the such a shallow DoF but that thing screams bloody murder and constantly hunts (idk if it was just my copy or not) so I bought the F2 and plan on returning the F1.4 but I’ve been confused as well due to that F2 vs F1.4 discussion but after seeing your images and hearing your opinion on it, I AM DEF returning the 35MM F1.4. You just made my life easier and painless. Congrats on your new 35 f2 Fujinon! It’s a fantastic lens in every way, and IMHO, f/2 is plenty fast enough, especially given the great high ISO performance of this system! Also, would you happen to know (or any readers here) how the shooting experience is when mounting vintage glass on the X-T1? Canon/Nikon/Minolta? Sorry, I have no such experience. The only non-native glass I’ve used on my XT-1, is the Rokinon 8mm Fish-Eye lens. It’s manual focusing, and works great, once you get the hang of manual focus. On that score, though, the XT-1 has several focusing aids, such as Focus Peaking, Focus Area Magnification, and a Dual Screen viewfinder option that shows both the entire scene plus a small window with magnified focus point. The Rokinon is a very nice lens to be sure, but if you’re a “pixel peeper” like me, I would still give the “sharpness edge” to Fujinon glass! Just wanted to say I appreciate your review. It’s hard to judge a lens when most review site just post crappy photos. Thanks for showing us what the lens can do in the right hands.. Which lens do you keep on your camera more often? 35f2 or 23f1.4? Great review. What sets it apart – the writer is a great photographer. Most camera reviewers on the web are truly crummy photographers. Your images are the images of an arist. And you realize that pixels are irrelevant. It is the look of the image, the “signature” of the lens that matters. i never comment. Now I have to. great review & work. I have ordered a black one. 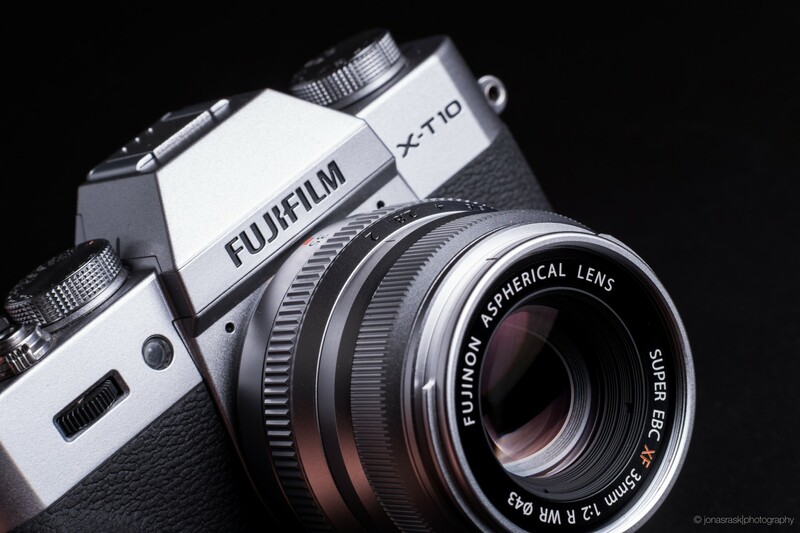 May have to cancel it to get the silver one because I have a silver XT10. [bought used so no choice- I usually like black lens/body] thanks for different shots too. Wow! Jonas, Thank you for the excellent review. I also recently purchased a new X-Pro1 body for a fantastic price, as my first dip into Fuji from Nikon. I am considering this 35/2 as my first lens into the X-system. The review made me stop looking for the 35/1.4. -nicer view through the OVF, much less barrel in the view. -internal focussing (barrel doesn’t pull out) more discreet. -Super Sharp maybe even sharper! -Dust seal probably still will benefit non WR bodies, prevent dust moving into lens or on sensor. -made in Japan metal body. -lens is ready for new gen. body upgrades! Thank you again for the amazing read and sharing your photos! I used to live in Odense. 35 f2 or 23 f2? On x-t2, black or silver lens? I bought the xf35/2 And love it. Been my only lens so far as I am relatively new to Fuji. The 23/2 will be my next lens. Fantastisk test! I dig it! Hi! I have an XM1 model. Would the XF 35mm f2 fit? Thanks. I have just received my XF35 f2 that I have bought after reading your (and some other) review. The behind-the-mesh portrait is one of the best photos I have seen from you so far. This really backs up the claim that warm sunlight is picked up so beautifully by this lens. Hi Jonas, would you recommend this lens as a first lens on a new xt10 body? weird question but do you shoot with clear filters or find that they affect the image quality? I always get b+w clear filters. Just curious. Thanks! As usual, excellent images! Thank you. I know this comment is being made long after you wrote this review but it isn’t until recently that I’ve seriously been considering getting the 35mm lens. I travel quite a bit and I’ve been using zoom lenses (10-24 and 18-135 and 100-400 for wildlife) but when I’m at home I use a 27 for street photography. However, given the 27’s age (!) plus the tremendous upgrade to the 35 F2, I’m leaning more and more to that ‘standard’ size for my street work. Be that as it may and getting back to your images (which is the whole point of our photography, isn’t it, in spite of all the marvellous technology associated with cameras! ), I’d like to ask you which in-camera settings (if any) do you use for your B&W images – e.g., highlight tone, shadow, noise reduction, etc. I shoot with an XPro 2 and trying to find the best combination on in-camera settings; this is why I am asking you as I really like your work. Thank you so much. I appreciate that you are a very busy person with your many responsibilities but if you could spare a few minutes to reply, I would deeply appreciate it. I am late to the party but let me just say that your compositions are inspirational and your writing is so enjoyable. Thank you so much. I do own the 35mm F2 lens, as well as the 56mm 1.2 and 23 1.4. ; I am a bit technically inclined and read a lot on lenstip.com so I am wondering if I did it all wrong. Since I like the idea of a flawlessly constructed lens (very little distortion being the main focus) I should’ve gone for the 35 1.4 but bought the F2 version of the 23 and the F2 50mm instead. What do you think? Does it matter? Thanks for taking the time to reply and keep up the great work. I m currently doubt between XF 35mm f/2 R WR and XF 23mm f/2 R WR on my X-e2 camera. I m planning to make picture of product, cosmetic, homeware, so I need sharp good quality picture so can post mu review on it. Any suggestions between these two lenses? but still a great lens. See the amazing photos from Jonas. I’m still looking at getting it at some point. If you do a lot of close up work for product shots perhaps consider the 60/2.4 or the upcoming 80 macro. However, for the quality, versatility and considering the value, it’s hard to beat the 35/2. A very nice review. Well written and informative, thank you very much. I do have a question about the sharpness you get in your images. The two examples where you compare the 35 f/1.4 and 35 f/2 are both exceptionally sharp. I have the X-T30 and a brand new 35 f/2, and I’m not even close to getting the same level of sharpness. Am I missing something crucial here? I see no clear detail or micro contrast like in your example. I’m standing at minimum distanse, so could I experience haze (I think that’s what it’s called) which degrades the image? And that makes me wonder how far away you might have been standing (it’s a very old post, I get if you dont remember). Have a nice day and thanks for all great posts here on this website.